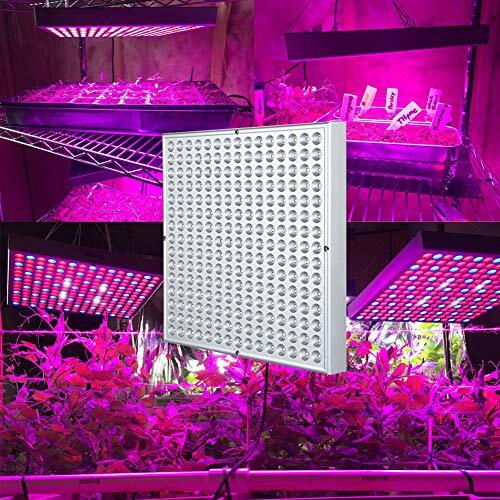 Full Spectrum LED Grow Light with Red Blue White from 390nm to 730nm, provides the targeted peak wavelength that plants most desire from sunlight. Make plants grow faster and healthier in all stages of growth. Spectrum: Red: 620-630nm, Blue: 450-460nm, White: 6500K. 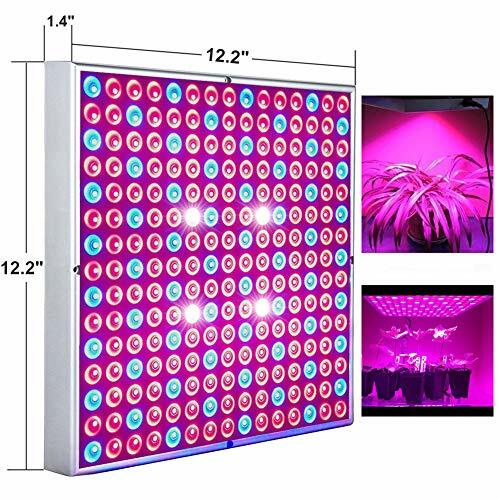 [Classical Full Spectrum] Compact grow light that puts out the needed light, includes 163pcs (620-660nm)+58pcs blue leds(450-460nm) +4pcs white leds (6500k), which is ideal for all kinds of indoor plants seeding growing and flowering at all growth stages. 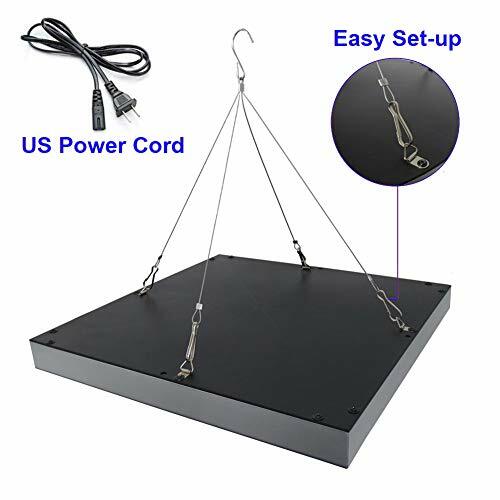 [Easy Set-up] This led grow lights are lightweight and very easy to use with the upgraded hanging brackets, system can be built in perfect sturdy condition within one minute. Built in 59'' power cord could really stand another two feet of length though and make your plants happy. 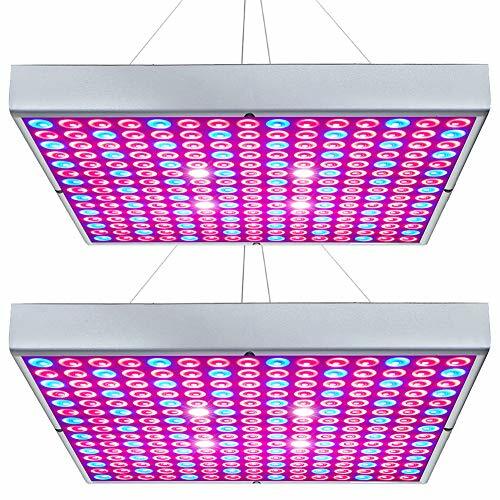 [Low Heat] ABS plastic material molding hydroponic grow lights panel , excellent Heat control, runs cool and quiet, no harm to your plants. 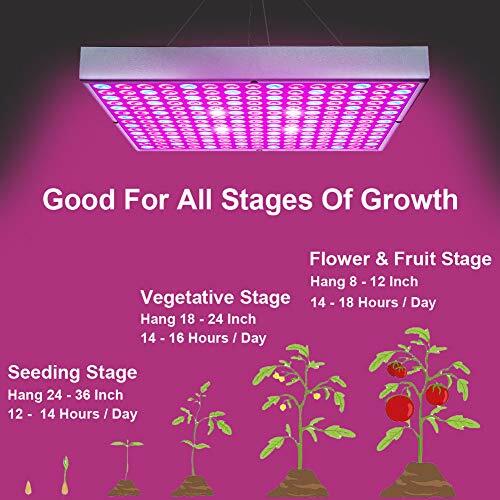 Square shape design maximizes the beam to cover 3ft by 3ft area of plants, recommended to hang at around 6-10 inches for seedling. 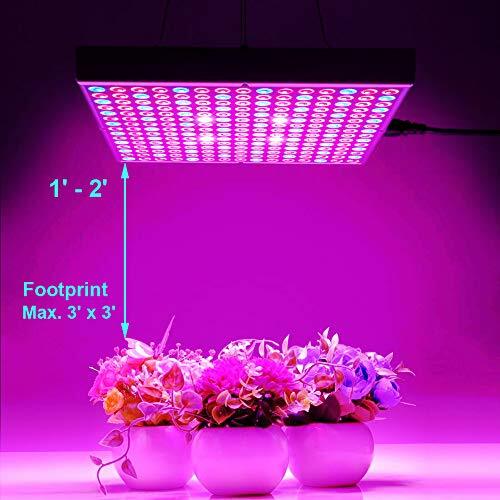 [High Efficiency] Plants grow fuller with much stronger and straight stems with these led grow light bulb. Most of the seeds are germinated and sprouting in 2 weeks. Low power consumption save your electric bill, 2 pack design are value for the dollar. [Worry-Free Warranty] We offer 12 months warranty plus 30 days satisfaction or return guarantee for this grow light kit. Please contact us first if there's any issue, we promise to response within 24 hours.